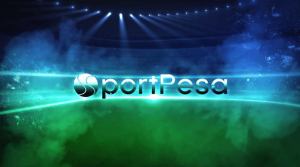 Welcome to yet another Sportpesa Megajackpot Post-Match Analysis. We managed to get 6/17 correct predictions which were poor by our standards. There were close calls and red cards that threw some of the games off not to mention a mind boggling total of 6 draws with 3 of them coming in the last 4 matches: but as always, we like to take on any loss as a challenge to do better. With that in mind, below is the breakdown of the results as well as an in depth look of our research methodology in the hopes that with each loss we all gain a lesson that could potentially set us on our way back to the Sportpesa Megajackpot Bonus once again in the coming week. Callum Robinson scored twice as Preston impressively beat Wigan at Deepdale to move off the bottom of the Championship and end a 10-game winless run. Tom Barkhuizen fired home the opener after neat build-up play in the first half. He then turned provider just after the break, creating space for Daniel Johnson to play in Robinson who slotted home. Wigan’s task became huge moments later when former Manchester United midfielder Darron Gibson was sent off for a bad tackle on Ben Pearson. Victory was sealed with a few minutes left; Paul Gallagher scoring a penalty after Lukas Nmecha was fouled in the box, before Robinson turned in Sean Maguire’s pull-back to make it 4-0 deep into injury time. Victory was not quite enough to lift North End out of the relegation zone, with Reading just above them on goal difference. Wigan drop to 10th following their fifth defeat in 12 league games this season. We had gone for a home win based on current form and it proved an accurate prediction as the hosts ran riot. Geoff Cameron’s first goal for QPR earned the hosts a point and stopped Derby County moving into the Championship play-off places. Cameron scored from 10 yards from a Nahki Wells cross after Rams keeper Scott Carson had saved Luke Freeman’s free-kick.The Rams led slightly against the run of play at the interval, Jack Marriott marking his first Championship start by drilling home after a defensive mix-up following Bradley Johnson’s long ball. But Rangers responded impressively, Wells hitting the bar before Cameron’s leveller, just QPR’s ninth goal in 12 league matches this season, rescued a draw.Rangers were unfortunate to trail at the interval, having created the better chances. Massimo Luongo and Jake Bidwell were both off target with decent opportunities before Marriott’s opener for the visitors. A powerful Tom Lawrence free-kick then tested Rs keeper Joe Lumley, but the hosts continued to look the sharper. The lively Wells had a header easily saved and then smashed a fine shot against the bar from the left side of the penalty area. After Cameron’s neat leveller early in the second half, both sides could have earned the win late on. But Toni Leistner, the matchwinner for QPR against Reading in midweek, blasted a shot over, while Rams substitute Harry Wilson forced Lumley into a smart save. Derby, who have now lost just two of their past 15 away games at Loftus Road, are seventh while QPR slip to 18th in the table, five points above the relegation zone. Barnsley closed in on the automatic promotion places in League One with a 4-0 win at second-placed Peterborough. The Tykes had goalkeeper Adam Davies to thank for keeping out an early Ivan Toney penalty, with former Posh midfielder George Moncur scoring a minute later for the visitors before Brad Potts (twice) and Jacob Brown struck to move Barnsley within two points of their opponents. Things might have been different when Posh were awarded a penalty in the 13th minute for contact on Joe Ward by Dimitri Cavare. Toney’s spot kick was well saved low down to his left by Davies, and Posh were punished a minute later when they failed to clear and the ball came to Moncur to score from close range. Potts then rifled in a 25-yard free-kick touched in his direction in first-half stoppage time, with the attacking midfielder finding the bottom corner from 20 yards after 59 minutes. Substitute Brown scored in the same corner in the 92nd minute to round off the win. Adebayo Akinfenwa’s 200th goal in English football and a penalty from Joe Jacobson secured Wycombe a 2-1 win against Burton. Two goals in seven minutes set the Chairboys on their way to victory, although Marvin Sordell’s goal shortly after half-time threatened a Burton comeback. However, Wycombe held on for their first home League One victory of the season. After a quiet opening period, Craig Mackail-Smith was clumsily barged over in the box by Kyle McFadzean after 30 minutes and Jacobson stepped up to open the scoring on his 200th game for the Chairboys. Randell Williams then escaped his man and his cross from the left was met by Akinfenwa, whose powerful header extended his side’s lead. However, early in the second half, Liam Boyce’s inch-perfect ball left Sordell one-on-one with Ryan Allsop and he rounded the goalkeeper with ease to reduce the deficit. Burton had further opportunities with Sordell spooning over from close range but Wycombe saw out the rest of the game. Plymouth’s 12-match wait for a League One win ended as they beat Wimbledon 1-0 at Home Park thanks to Freddie Ladapo’s 75th minute winner. The Argyle target man headed home after Graham Carey latched on to Ruben Lameiras’ short corner to send over an inch-perfect cross from the right. The win lifted Argyle off the foot of the table ahead of their trip to basement side Oxford next Saturday. Argyle had threatened five minutes earlier when central defender Ryan Edwards headed just over from Carey’s corner from the left. Carey nearly made it 2-0 with a thumping shot minutes after the goal but keeper Joe McDonnell saved well down low at his post. Argyle’s on-loan Arsenal keeper Matt Macey made a save on the line to deny Jake Jervis from point blank range after 62 minutes. Former Argyle forward Jervis seemed certain to score when he side-footed skipper Deji Oshilaja’s cross towards goal at the far post but 6ft 7in Macey got down to turn the ball away to safety. Joe Pigott sent a shot just wide of goal after good work from Jervis as the second half started with Wimbledon on the front foot but the visitors could not find a way back into the game. Caretaker manager Kevin MacDonald warned Aston Villa’s players they need to “tidy up” their performances after seeing them beaten by Millwall despite taking an early lead. Tammy Abraham gave MacDonald the perfect start to his third spell as Villa’s temporary boss, cleverly steering home Conor Hourihane’s free-kick on the volley after just seven minutes. But the first match since Bruce was sacked then turned sour with Shane Ferguson and Tom Elliott earning victory for the Lions. Millwall – winless in eight before Saturday – responded well to Abraham’s opener and deservedly levelled when Ferguson fired home Jake Cooper’s knockdown. Elliott’s second-half strike completed the turnaround to lift the Londoners out of the relegation zone and leave Villa with just one win in their past 10 Championship games. With James Chester’s suspension and Mile Jedinak’s hamstring injury leaving makeshift pair Alan Hutton and Axel Tuanzebe at the centre of Villa’s defence, MacDonald opted for pragmatism further forward to protect his back four. That meant Villa’s bench featured an array of attacking talent – worth more than £50m based on their most recent transfer fees. But the defensive approach failed to pay dividends as, despite Abraham’s early opener, Villa again failed to add to their solitary league clean sheet this season. After Ferguson’s leveller, Villa were relieved to get to half-time at 1-1 as Millwall’s Shaun Williams had a goal-bound shot blocked by Manchester United loanee Tuanzebe and whistled another strike just over from 30 yards. More poor defending just three minutes into the second half allowed Elliott to drill the hosts in front after Villa failed to clear Ferguson’s cross. And despite a brief Villa rally – in which James Bree nodded inches wide – Neil Harris’ Lions could have won by more as a Williams header crashed back off the bar. The victory was only Millwall’s second Championship win of the season and lifted them to 20th, leaving whoever succeeds Bruce at Villa Park with much to ponder. Crystal Palace manager Roy Hodgson described his side’s performance as a “major disappointment” after Matt Doherty’s winner extended Wolves’ unbeaten Premier League run to six matches. Raul Jimenez put Doherty through on 56 minutes and, despite the tight angle, the full-back was able to beat Wayne Hennessey at his near post. Although the home side began confidently in the first ever Premier League meeting between the clubs, Hodgson’s team were wasteful in the final third. Nuno Espirito Santo set a Premier League record by naming an unchanged starting XI for an eighth consecutive opening fixture, and Wolves arrived at Selhurst Park as the in-form side. The visitors had to be patient to force a decisive breakthrough against Southampton last time out, and it was a similar story in south London, where the hosts began largely in control. But Nuno’s men have remained committed to their expansive style of play – and once again that paid off as the adventurous Doherty unlocked the Palace defence with a great finish. It’s no coincidence that eight of Wolves’ nine league goals have come in the second half, and they demonstrated their ability to gradually wear down their opponents’ resistance. While their attacking players will continue to receive plaudits, the Wolves defence – and Patricio in particular on this occasion – were excellent, allowing their side to keep a fourth clean sheet in five league matches. And although Cavaleiro probably should have doubled the advantage late on, victory means Wolves are now seventh on 15 points. Goals from Wes Thomas and JJ Hooper saw Grimsby pick up their first home league win of the season as they beat Port Vale. Just over 30 seconds into the game, Grimsby found themselves ahead as Mitchell Clark sold Scott Brown short with a back-pass, with Thomas latching onto it before rounding the goalkeeper and rolling the ball into the empty net. Chances were few and far between for both sides for the rest of the first half, although Tom Pope went close for Vale as he flashed a volley just over the crossbar. Grimsby should have doubled their lead just after the break when the ball broke to Hooper in a great position inside the penalty area, but the forward could only strike the ball against the post. He made no mistake moments later though as Thomas and Charles Vernam linked up well on the edge of the box, with the latter playing the ball across the face of goal for Hooper to tap home and earn his side their second victory of the week. Nicky Maynard’s stoppage-time goal earned Bury a point against Mansfield Town.Maynard slid home his second of the game from 15 yards five minutes into seven of added time at the end. Mansfield scored a bizarre opening goal after 10 minutes. Danny Rose profited as the ball slipped out of Joe Murphy’s grasp when the Bury keeper prepared to make a regulation clearance, and the ex-Bury striker tapped the loose ball into an unguarded net from five yards. Murphy atoned for his clanger minutes later when he saved superbly from Otis Khan, while Rose should have made it two after half an hour but fired wide from 15 yards. After the restart, Khan went on a terrific run before curling an exquisite shot inches wide. Bury then evened the score spectacularly in the 55th minute. Nicky Adams headed the ball hopefully towards Nicky Maynard eight yards from goal, and the Bury striker swivelled superbly before lashing home with a breathtaking scissor kick. The Stags regained the lead after 73 minutes when defender Matt Preston powerfully headed home Timi Elsnik’s corner, but Maynard had the final say. A late Jon Stead penalty earned Notts County victory over Macclesfield. The hosts are still without a win this season, and had been good value for a point before centre-back Fiacre Kelleher gifted possession to Enzio Boldewijn, who bore down on goal, where keeper Kieran O’Hara committed a foul that virtually handed the visitors victory. The spot-kick still had to be put away but in Stead, the Magpies had just the man for the job, and he sent O’Hara the wrong way eight minutes from time to give Notts their third straight win. Macc had shaded a first half with precious few openings for either side. The stalemate continued after the break, with the home side producing decent build-up play without a final ball, and Notts County content to sit deep. And with nine minutes left on the clock, Kelleher’s moment of madness led to the goal, after which substitute Nathan Thomas almost added a second for the visitors. Matt Taylor’s free-kick rescued a point for Swindon as they came from behind against Northampton at the County Ground. The home side should have broken the deadlock after just seven minutes when James Dunne had his close-range shot saved by David Cornell. Swindon came close to taking the lead again as clever link-up play eventually saw Cornell deny Marc Richards with another save. Northampton had to wait until the 22nd minute before their first real opportunity fell to Sam Hoskins, who broke free before seeing his shot parried against the post. The visitors came alive after the break and almost went ahead through Andy Williams, only for Swindon’s Taylor to deny him a chance from six yards out. However, they didn’t have to wait long for their goal which came in the 58th minute when John-Joe O’Toole volleyed in from a Hoskins cross but Swindon responded in emphatic fashion, Taylor curling his free-kick into the top corner from 25 yards out. Kurtis Guthrie scored against his old club as Stevenage recovered to beat Colchester in a feisty encounter at Broadhall Way. Colchester went ahead after 86 seconds when Sammie Szmodics tapped in from three yards at the far post, from Ryan Jackson’s low cross. Szmodics and Luke Norris had opportunities soon after, as Colchester pressed for a second. But Guthrie went close with a deflected long-range effort before the former Colchester striker equalised four minutes before half-time when he tapped home at the far post, after Scott Cuthbert had headed on Joel Byrom’s corner. Stevenage nearly scored again early in the second half when half-time substitute Emmanuel Sonupe’s acrobatic effort was saved well by Dillon Barnes. Stevenage goalkeeper Seny Dieng denied Norris before Ben Kennedy slotted the hosts ahead from the spot with eight minutes remaining, after Steve Seddon had been fouled by substitute Brennan Dickenson in the area. And two minutes later, Sonupe wrapped up Stevenage’s win when he calmly lifted a shot past Barnes, from Guthrie’s pass. A Harvey Gilmour double inspired Tranmere to victory against Morecambe in a superb and fiery encounter at the Globe Arena. On-loan Sheffield United man Gilmour was Rovers’ hero as his sensational second in the 89th minute won it for the visitors. Morecambe took the lead with a superb individual goal from Rhys Oates after 13 minutes. The Morecambe forward made it three goals from three games with a superb, low 25-yard shot that flew past Scott Davies and into the bottom corner. The visitors hit back just before the half-hour mark with a well-worked free-kick. Gilmour floated the ball into the Morecambe area and Ollie Banks used his height and strength to head past Barry Roche from six yards out. The Shrimps were denied a penalty for handball before Micky Mellon’s side took the lead four minutes before the break. Zoumana Bakayogo was found on the overlap down the left and produced the perfect cross for Gilmour to beat Roche with a diving header from eight yards out. Rovers added a third on 54 minutes when Jonny Smith struck a sweet left-foot curler past Roche from the edge of the Morecambe box. The game continued to flow from end to end, with Davies saving smartly from Liam Mandeville before the Shrimps added a second when Vadaine Oliver headed home Zak Mills’ cross from close range after 73 minutes. The home side then levelled seven minutes later when Andrew Tutte’s cross into the area was flicked by AJ Leitch-Smith past Davies from 12 yards out. The action didn’t stop there, however, as Gilmour curled home Bakayogo’s lay-off to earn the win. The game ended with a fracas involving both sets of players, with Tranmere goalkeeping coach Eric Nixon being shown a red card. Jayden Stockley took his season’s goal tally to eight with a brace as Exeter claimed a draw at Yeovil. Exeter asserted their authority after just nine minutes when Stockley headed in the opener. Hiram Boateng hung up the cross and goalkeeper Nathan Baxter failed to come out allowing the striker to nod in. Yeovil were level after 48 minutes and it came from another defensive mistake, this time when Luke Croll’s header back to Christy Pym was weak and Olufela Olomola pounced on it before rounding the goalkeeper and laying it to Jordan Green to tap in. In the 61st minute it was 2-1 to the Glovers with Olomola the provider again, beating Croll for pace from a long ball forward before crossing in for Alex Fisher to score. Stockley then scored his second of the day after 75 minutes when he found space in the box to head in a Dean Moxey cross and level. Prior to this highly anticipated French Ligue 1 match, both teams had met 30 times and drew 12 times while Guingamp wins 6 times and Montpellier winning 12 times. The stats were in favor of the away side but we backed the home side to win as they needed the win badly in order to escape being early candidates for the drop. 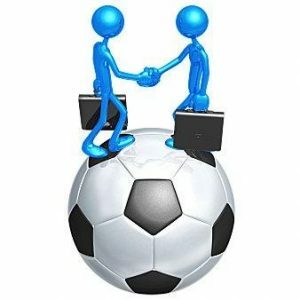 They were fighting for their first season win of the Coupa de la Ligue match in their home match as they tried to push on proceeding to the next level. The visitors broke the deadlock in and around the 30th minute via an Andy Delort goal and went into the break in the lead. By this point the hosts were already down to 10 men as Marcus Thuram was given the matching orders as early as the 7th minute. The situation swung back in favor of the hosts though as Florent Mollet was sent off thus making it a 10v10 match just before halftime. This spurred the hosts and they duly got their reward via a Nicolas Benezet equalizer just at the stroke of the hour mark. Both teams had chances to pull ahead but given the general play, a draw seemed a fair result. We had backed the home side to carry the day based on historical records between this two sides but the rather dull affair proved to be an anticlimax. Liverpool manager Jurgen Klopp and Manchester City counterpart Pep Guardiola were both left satisfied after a goalless draw left their sides level on points at the top of the Premier League. Champions City have not won a league game at Anfield in 15 years, and Riyad Mahrez wasted a glorious opportunity to send them clear when he missed a late penalty. City’s summer signing from Leicester fired an 85th-minute spot-kick high over the bar after substitute Leroy Sane was brought down by Liverpool defender Virgil van Dijk. It handed the Reds a reprieve as both sides extended their unbeaten league starts to eight games, with City now top on goal difference from Chelsea and Liverpool. All three are level on 20 points. City felt they were denied two earlier penalties when Dejan Lovren bundled over Sergio Aguero and Van Dijk handled in an aerial challenge – referee Martin Atkinson waving away the first appeal and awarding a foul for a push by Fernandinho in the second incident. Mahrez also squandered City’s other big chance in a game that failed to live up to expectations, dragging an effort wide, while keeper Ederson was virtually unemployed against Liverpool’s normally potent attack. This Anfield confrontation was billed as a potential thrill ride between two sides who – along with Chelsea – have set the pace in the Premier League. It was not to be – this was a cagey and, at times, dull and tame affair. Liverpool’s attacking trident of Roberto Firmino, Mohamed Salah and Sadio Mane were unable to cause the damage they inflicted on City in last season’s Champions League quarter-final, while Guardiola’s intention was clearly to draw the early fire from Klopp’s side. City had no intention of being drawn into the sort of Anfield battles that saw them over-run last season and led to suggestions that Klopp’s intense, pressing style was one that Guardiola could not master. Liverpool ran out of steam and ideas after the first 10 minutes, while City were content to slow matters down to throw cold water over the Anfield atmosphere – and in that respect it was highly effective as the home side, so irresistible in attack last season, barely troubled Ederson. IK Start came into this one having played 24 matches and at position 15 with 23 points in the 2018 Norway Eliteserein. Their opponents on the other hand having played 24 matches were at position 9 with 32 points. In their last 5 h2h Sarpsborg had won 4 times Start 1 with 1 draw for both sides. This explains why we backed the away team to carry the day. However, a last minute goal by Mathias Bringaker was enough to ensure a memorable victory for the hosts and in the process secured them 3 vital points. The home crowd was in fine volume as they spurred their team on to victory. It was a rather lacklustre match with chances coming far and in between. 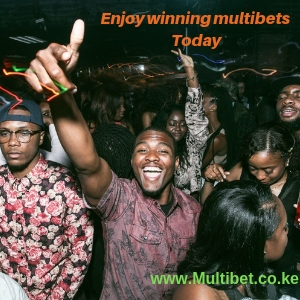 That’s it for another pulsating week of our sportpesa megajackpot post-match breakdown. There were some surprising results but with eachn only hope to learn failure one ca. Here’s a tip for all our sports betting enthusiasts, sometimes stats may favor a particular team but dig deeper and trust by your gut. Sometime your winning slip could be hinged on you backing the underdog and going against the norm. As they say, fortune favors the bold. Be on the lookout for our Sportpesa Megajackpot Predictions this week.